There are a lot of things we appreciate on our plates that we more than likely wouldn’t want in our skincare. Mushrooms are probably one of them. That’s understandable. After all, people typically have strong feelings about this fungus. Well, you might want to start thinking about mushrooms in a different way. Today, they’re appearing as a top skincare ingredient in more and more products. Why is that? Let’s explore. Yes, mushrooms in skincare. It can take some time to wrap your head around it, we know. After all, you’re used to mushrooms as an edible food. It turns out, that when added to skincare products, mushrooms can be very beneficial. They have medicinal qualities by the dozen. They could be loaded with vitamins and minerals. Shiitake mushrooms, for instance, contain selenium (a mineral), vitamin D, and antioxidants. Other mushrooms can double for antibiotics, making them ideal for cancer medications. That’s why so many brands are hopping aboard the mushroom train. 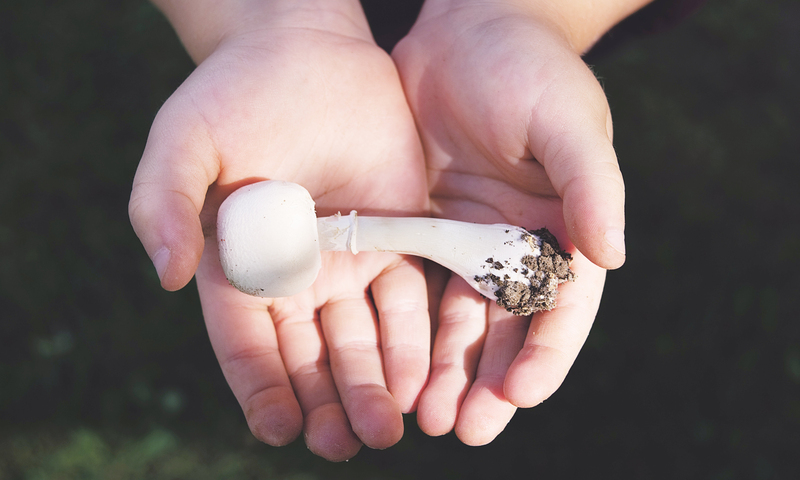 Some of these beauty companies are very flagrant about their use of mushrooms while others keep this fungus a nice little secret. If you’re a Shiseido fan, you can find mushrooms in their Ultimune Power Infusing Concentrate with ImuGeneration Technology. Dr. Andrew Weil for Origins makes it obvious what to expect in his product, as it’s called Mega-Mushroom Relief & Resilience Soothing Treatment Lotion. Why are mushrooms having such a moment? It’s due to the abovementioned minerals and vitamins stuffed in these saprophytes. If you often deal with facial inflammation, the selenium in many of the above products can soothe your skin. Most of these products are also hydrating, as mushrooms are known for their high moisture content. Your skin will be suppler and clear. Oh, and did we mention shrooms can shrink your pores, too? Although you wouldn’t think it, many mushroom species can give you beautiful, fresh, hydrated skin. It’s time to embrace this fungus in your skincare routine!